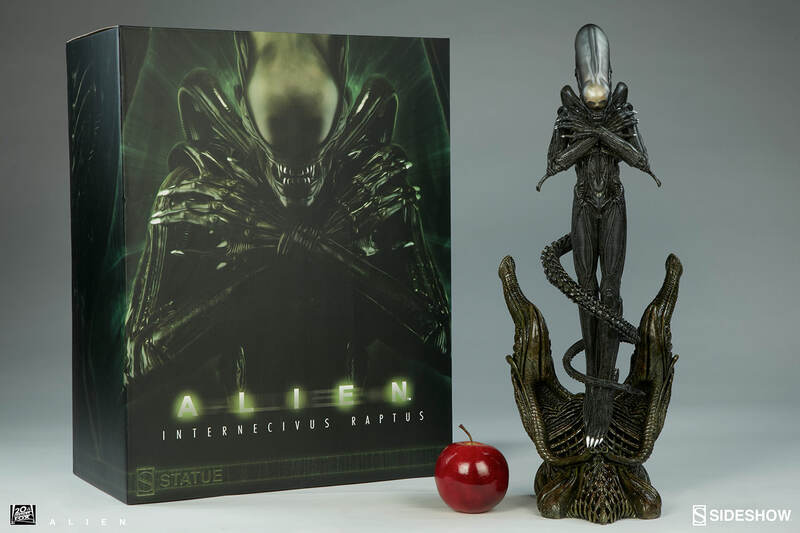 Capturing one of the most iconic movie creatures ever committed to the big screen, Sideshow is proud to introduce the Alien Internecivus raptus Statue. 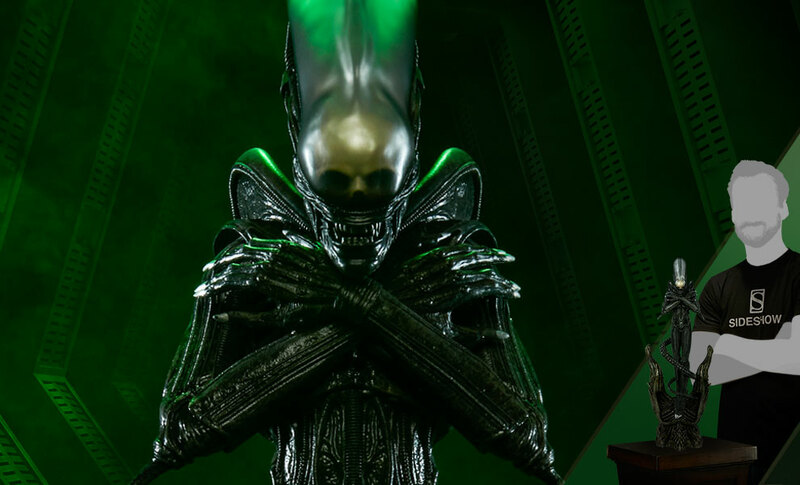 Translated from Latin as ‘murderous thief,’ Internecivus raptus is one of the few official names recorded for the xenomorph species moviegoers have come to recognize most famously as ‘Aliens.’ Faithfully rendered with H.R. 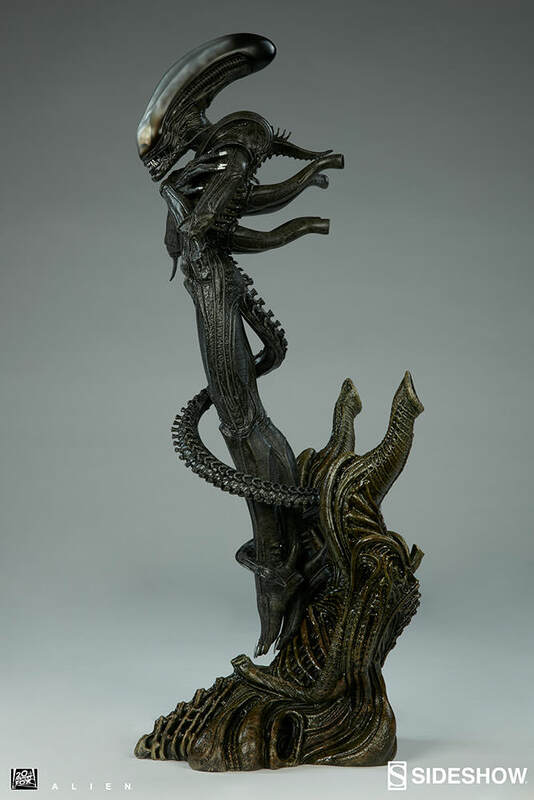 Giger’s visionary bio-industrial aesthetic, the specimen is suspended in an elegant pose – its structural perfection matched only by its hostility. 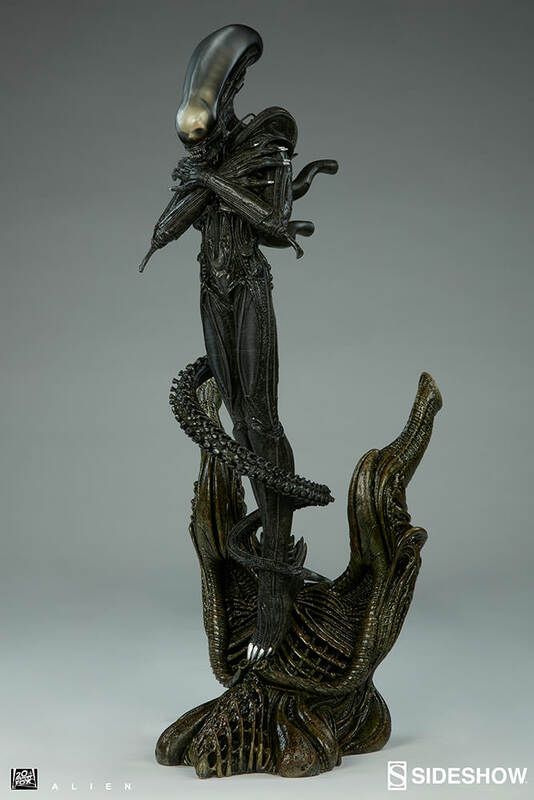 Solemnly ascending from a surreal monochromatic chamber, with limbs crossed and barbed tail coiled in an exquisite spiral around its lithe body, the Alien Internecivus raptus statue is a definitive tribute for fans of the science fiction film legacy. It’s time for another bug hunt. Engineered using an advanced combination of high-quality materials, including polystone resin and multiple durometer plastics. Alien TM & (c) 2016 Twentieth Century Fox Film Corporation. All Rights Reserved. Pay as little as $135.00/mo. The perfect statue for "the perfect organism." 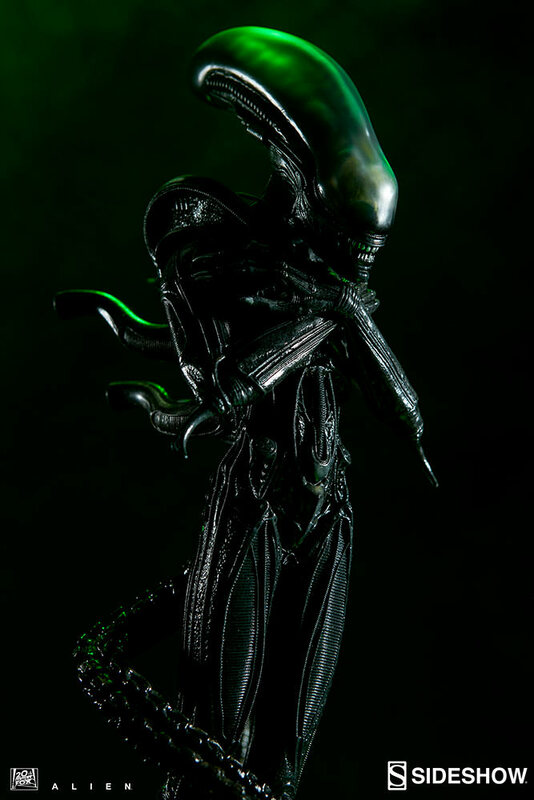 I especially like how the feel of it is similar to that of a higher end action figure. Some people may not like this but now I am not worried about it breaking. H.R. Giger is smiling down on everyone who bought and created this. 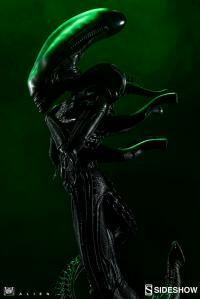 This was my first Sideshow purchase simply because of the sheer awesomeness of this sculpt. Its even more magnificent in real life. The pictures dont do it justice. I love all the detail. I can tell a lot of work went into this. 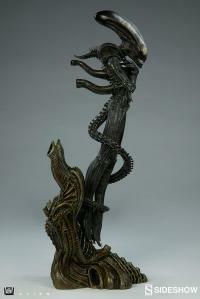 Looks great in my curio cabinet waiting for it's companion pieces. Only criticism i have is the feel of the statue. Feels a bit lite compared to other figures I have ordered. I still love it! 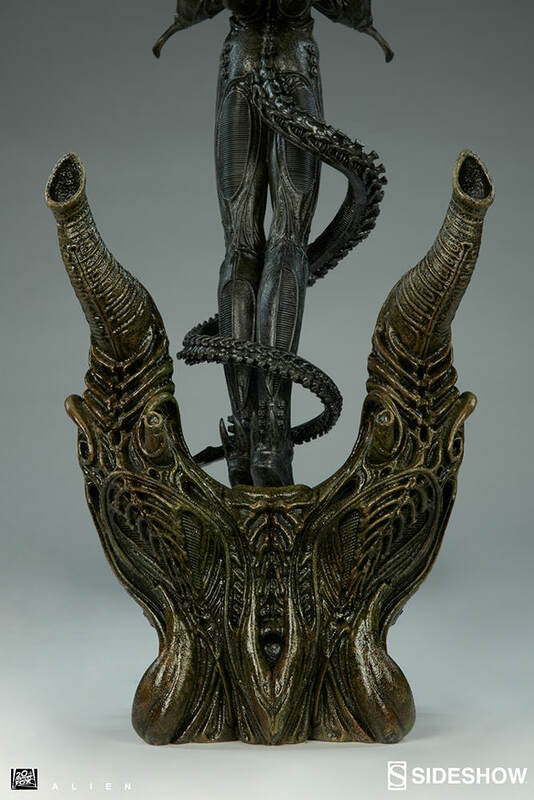 This the most beautiful piece in my alien collection. The photos dont do the justice of how perfect this statue is. The details the color the pose is a masterpiece. 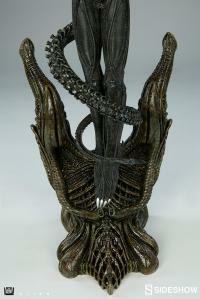 HR Giger would be proud of this product and the artists who designed it. Thank you sideshow. This statue is absolutely awesome. It was my first big purchase in my collection, and my money was well spent. It's a pricey statue but you get your moneys worth. An absolute thing of beauty! 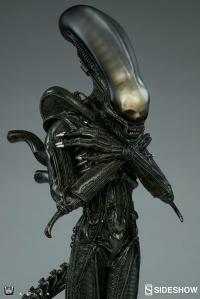 I have loved Giger's Alien for so long and to have such a beautiful rendition in front of me is amazing. 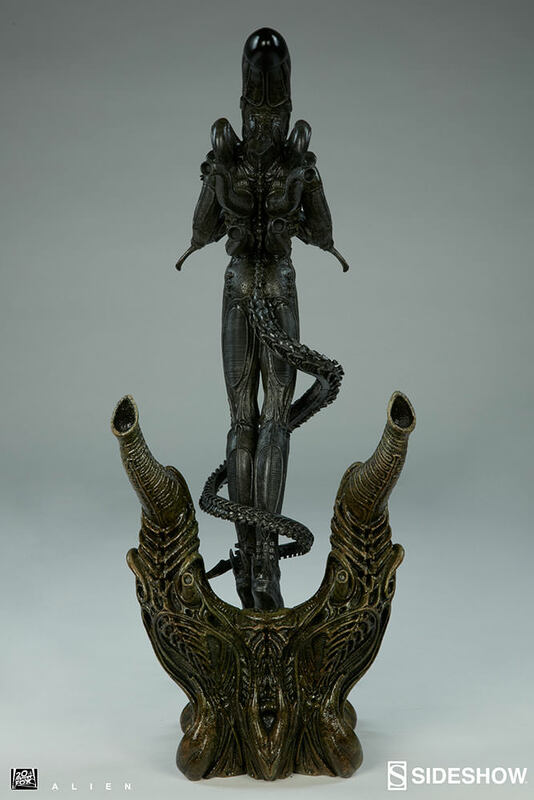 This figure is worth every dollar and Giger would have one of these in his collection if he was still with us. Thank you Sideshow and thanks to everyone who made this piece....Amazing is all I can say about this piece. Also the green lights are a must with this beauty. 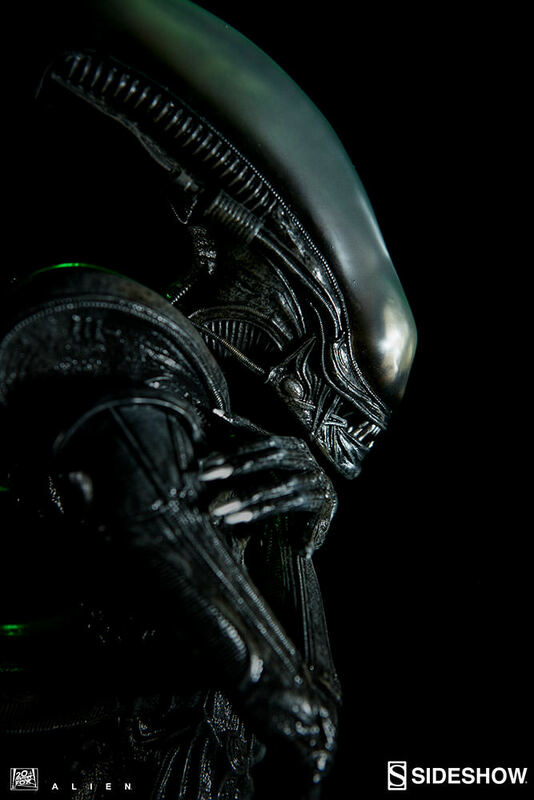 Amazing statue, like someone else said before me, it's made of a more soft plastic material vs other sideshow statues which are polystone, but the detail and quality are still there. The base is crafted from poly stone and shows beautiful organic detail throughout. 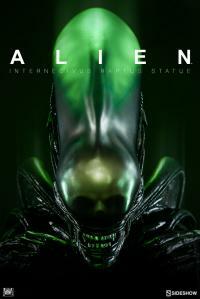 The translucent skull in the head makes the statue look so menacing. You have to see it in person to get the entire effect. 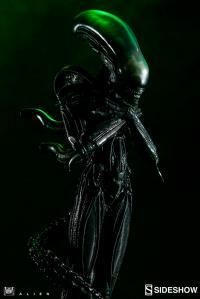 Just perfect.Its so beautiful and really represents the Alien in a slightly different,elegant but still misterious and dangerous way. I received this figure last week and I'm still super flabbergasted by its sheer beauty. 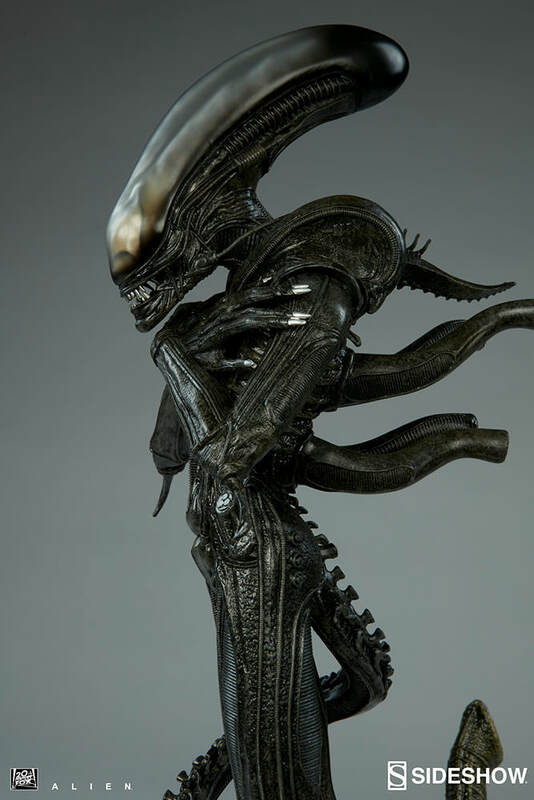 Although this statue is simpler in its composition than other statues of Sideshow, it provides a sheer eye-catcher nonetheless. 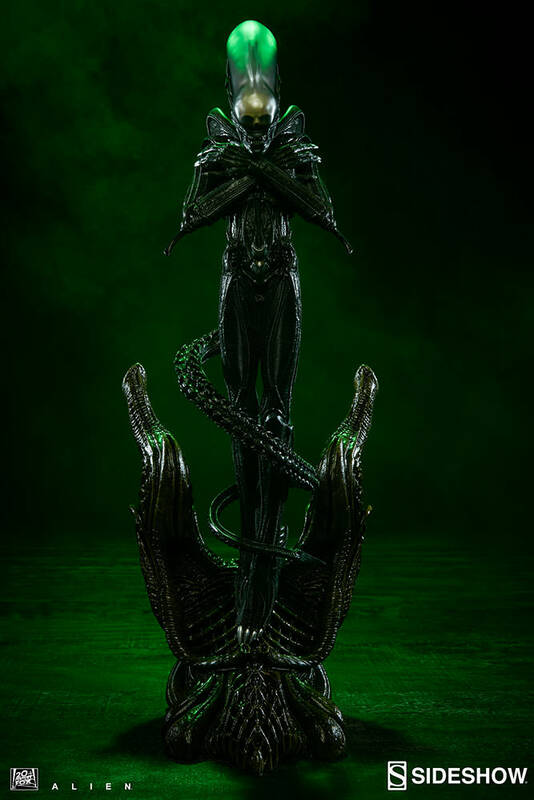 I will light it up with green lights to bring out the posture even more! Don't be caught off guard by the true beauty and serenity of SS's AI-R statue. It is a remarkably perfect reproduction of film's best, all time manifestation of evolution's disturbing, peak killing machine. It's amazing; you'll want to study it as in depth as WEY-YU! 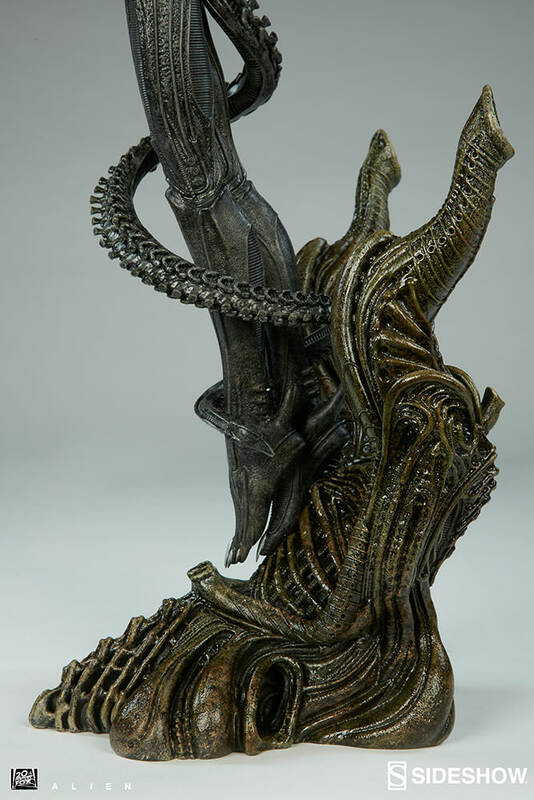 I just received my Alien Statue and I love it. This is Classic ART and H.R. Giger would be proud of the work Sideshow Collectibles put into his creation. I can't wait to order the upcoming Alien Warrior Statue.